Playwright: Mel Brooks & Thomas Meehan. Director: Professor George Contini. Based on Mel Brooks’ comedic masterpiece, “Young Frankenstein” injects the now-classic story of the inept Frederick Frankenstein with music and dance, breathing new life into Frankenstein’s unwitting quest to continue his grandfather’s notorious legacy. 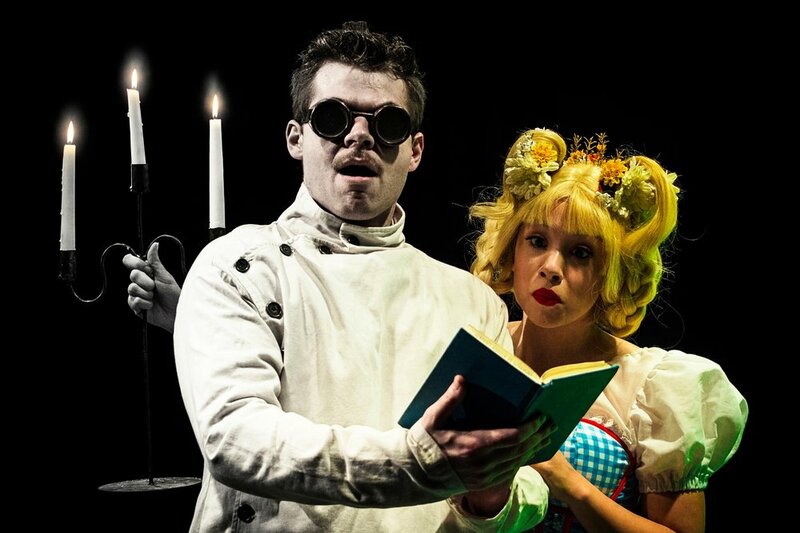 Hijinks ensue as Frederick is joined by the bumbling Igor, the aloof Inga, and the prudish Elizabeth – culminating in the creation of the Monster – a far more lascivious and “abnormal” version of his grandfather’s experiment. In staging the production for college audiences, director Contini hopes to introduce students unfamiliar with the source material to the parodic elements of Mel Brooks’ original comedy. “I’m really trying to find a base level of broad comedy that will allow both the actors and the audience to explore the show as a kind of two-dimensional cartoon,” said Contini. Contini’s cartoonish mandate has influenced all elements of the production, from promotional materials to costuming to scenic design. As UGA Theatre’s biggest show of the season, “Young Frankenstein” has provided a broad collaborative opportunity, bringing together students, faculty, and even alumni. John Terry, a recent graduate of UGA’s MFA Acting program, has been assisting Contini in his directorial duties throughout the rehearsal process while professor of dance Lisa Fusillo has shared additional dance training and choreography. Scenic designer Melanie Stevens’ daunting set has similarly required all hands on deck, necessitating dozens of movable elements to allow for easy transitions from scene to scene.